How can we assure the quality of milk: Care for Milk initiative! …. sounds familiar? Our moms or any loved ones for that matter won’t let us compromise on our health and they always make sure that we keep ourselves healthy and sound. Milk is something which we consider as a healthy option. 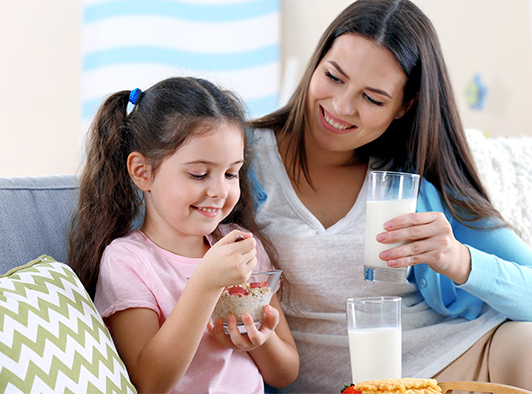 Since childhood, our mothers have made sure that we consume a sufficient amount of milk everyday as it is a storehouse of calcium and many other essential nutrients. I, personally love drinking milk and cannot go without drinking at least a glass everyday. In India, Milk is considered as the daily dose of nourishment for all of us. 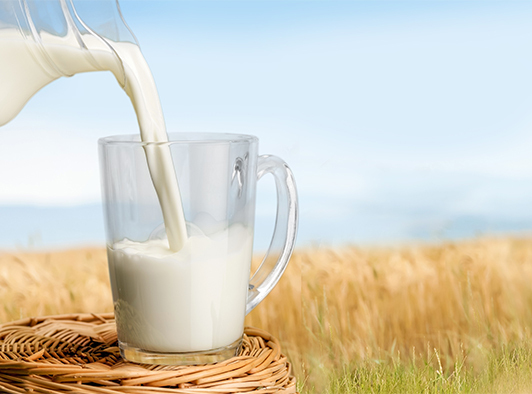 The quality of milk and its freshness is something which can nourish our being and help us stay healthy and strong. 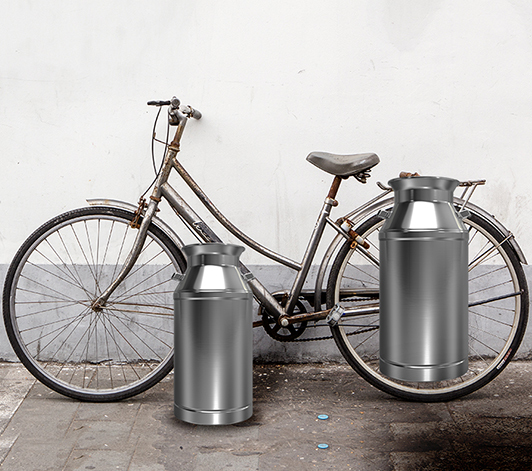 Since ages, milkmen deliver milk to our doorsteps on their bicycles, which are loaded with milk cans. and the storage they use to contain milk? Having pure and nourished milk requires hygienic and clean storage, but we can’t be assured that the milkmen who provide us with this nutritive drink everyday, maintain a good quality standard of the storage they use. They aren’t always able to match the quality and safety as prescribed by the Government. As prescribed and stated by the Government, Stainless Steel can is the ideal milk can which transports milk safely without contamination or spillage. It is one of the best container for storing milk as it does not corrode and keeps the beneficial nutrients of milk intact. Also, use of poor quality cans can lead to several health issues, as the cans are made from sub-standard quality of metal which gets corroded easily and filling them with milk can result in bacteria formation leading to a host of dreadful diseases. Food Safety and Standard Authority of India (FSSAI) has clearly stated that cans and containers made up of mild steel metal and plastic material used for storage and transportation of milk and milk products shall not be allowed. Care for Milk is an initiative by Jindal Stainless to raise pertinent concerns over the quality of milk consumed in the country. It is an endeavor to make sure you start getting good milk by being aware of the standards of quality and safety with respect to milk procurement and its storage. What does the Care for Milk initiative by Jindal Stainless aims at? Don’t we all need a change in the current state of Milk Distribution? Don’t we all deserve qualified consumption of milk? Do you wish to bring a change? Do you want to change for better? Come forward and take the revolutionary pledge! Take A Pledge to make sure that the local milkmen and dairies use good quality Stainless ª for storing milk to preserve its goodness and purity. Take a Pledge to change the current scenario of Milk Distribution and witness a healthy change in our society. Change begins from yourself, from your home and today, take a pledge to witness it. Will you? Previous Previous post: Influencer.in – A Bloggers new Best Friend.